Allison Sattinger is a mama and wife, leathercrafter, silversmith and singer-songwriter. She has run her business, SunnyRising Leather and Metal, for twelve years and has lived with interstitial cystitis officially since 2016. Her condition went undiagnosed (though certainly experienced) beginning in her twenties. In addition to her own health journey, Allison shares her experience caring for her friend, Kelly Clark, who lived with metastatic breast cancer before passing away in July 2017. This interview is a moving exploration of how love and loss are connected, and how we can all be more gentle with ourselves and our experiences. 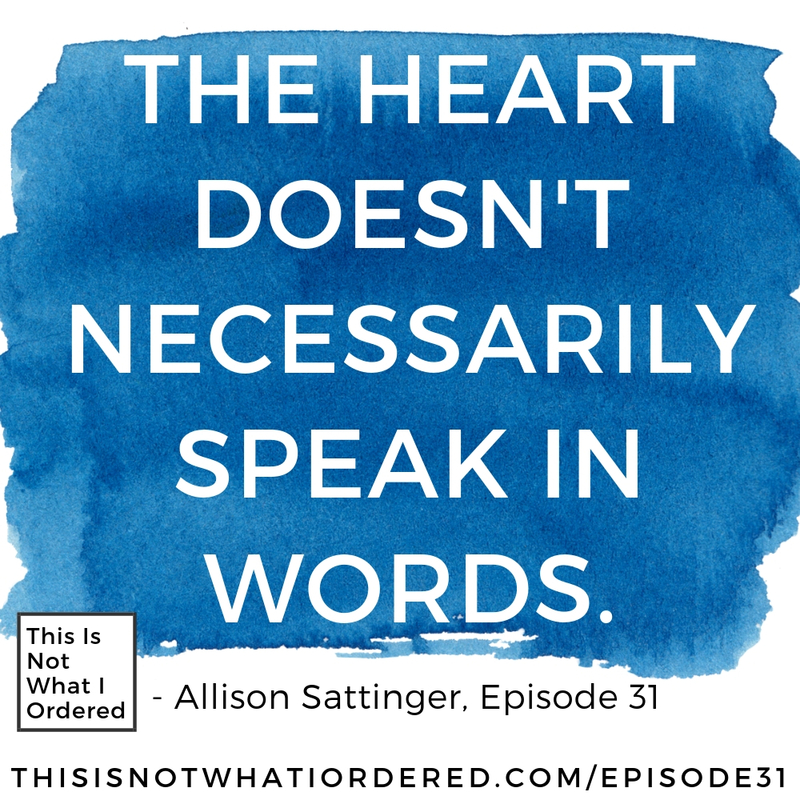 This episode begins with something new: an audio clip with Allison’s friend, Kelly. My hope is that the audio gives you insight into who Kelly was and how Allison’s love for her is so infused in our interview. Allison’s creativity and poetry come through in this interview, as does her love for her friends and family. This is a really moving discussion so be sure to give it a listen!